For more information, contact Rock and Ice’s Editor, Francis Sanzaro, at fsanzaro@bigstonepub.com. Jon Cardwell on Judas Goat 5.14a, First Band, Redstein Crag, Redstone, Colorado. Photo: Nathan Smith. The photo camp covered everything from technical rope work, photographic techniques, photo editing, and more. I learned so much more than I expected. WHERE: The famous Buttermilk Boulders of Bishop, CA. WHEN: October 30-November 2, 2018.
WHO: can enroll: Novice to expert photographers are welcome. WHAT: is included: Professional instruction, lodging and meals. Whether you aspire to professionalism, want to improve your already solid skills, or simply love photography and learning, the Rock and Ice photo camp is for you. The 2018 camp, to be held in Bishop, California, offers: instruction and feedback by top professionals, the chance to make friends and contacts in the outdoor world, guidance in using jumars and ropes for shooting, and fun and great meals in a beautiful setting. Students range in age from teens to their 70s, and attend from all over the country and even overseas. Numerous participants have repeated the photo camp in ensuing years. 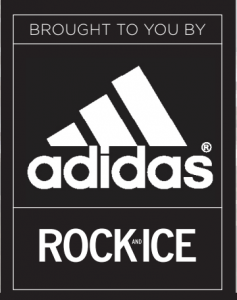 Presented in conjunction with Adidas and Five-Ten and now in its 12th year, the camp is intended for those with advanced or solid amateur skills. Each student will have the opportunity to submit photos for a photo feature on the area. Many students continue to contribute work for our online and print editions into the future. Christopher Beauchamp, John Evans and Jeff Rueppel will co-lead the workshop with Duane Raleigh, Rock and Ice publisher; Randall Levensaler, art director; Francis Sanzaro, editor; and other magazine staff. 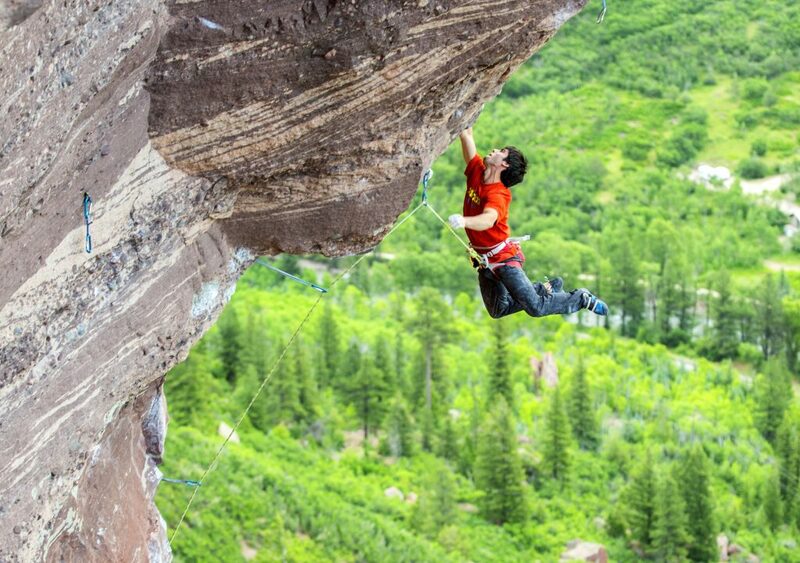 A host of top climbers serve as models and subjects. Past climber-models have included Jon Cardwell, Nina Williams, Sonnie Trotter, Sasha DiGiulian, Carlo Traversi, Libby Sauter, Diego Lopez Montell and Mayan Smith-Gobat. The RI Photo Camp is considered a prized professional opportunity for climbers. The 2018 camp will take place in Bishop, California, from October 30 through November 2. Meals are provided (vegetarian options available). Travel is the responsibility of participants. Information on camping TBA. Cost: $1,700. CHRISTOPHER BEAUCHAMP of New Haven, Connecticut, has spent 15 years chasing adventure and creating dynamic imagery. Projects have taken him to the jungles of Borneo, Newfoundland’s frozen fjords, giant gypsum caves in the Ukraine, and ebola wards in Africa. His work has appeared in National Geographic, Smithsonian, Men’s Journal, Vice and of course Rock and Ice. He shoots both rock and ice climbing. JEFFREY RUEPPEL of San Francisco is an adventure photographer working in Stills, 2D Motion, and 360 immersive experiences. He blends the world of outside adventure with new technologies for storytelling. He has shot climbing on multipitch routes from Yosemite to Corsica. JOHN EVANS of Salt Lake, a longtime contributor to Rock and Ice, is an adventure photographer specializing in climbing, mostly recently big-wall ascents on El Capitan, Yosemite. His work ranges from that of the dynamic (he is also an ultrarunner) to portraiture. DUANE RALEIGH has been shooting since 1974 and founded the Rock and Ice Photo Camp, now in its 12th year. As editor in chief of Rock and Ice he reviews over 10,000 images a year for possible publication. RANDALL LEVENSALER, Rock and Ice and Trail Runner magazine’s art director for six years, is a leader in magazine design and photo editing. Randall previously spent seven years developing his creative eye working as a photo assistant and photographer in California. MARCUS GARCIA, safety officer, brings over 25 years experience as an all-around climber and guide. A climbing-gym owner and coach, he came to the Rock and Ice photo camp as a student in 2008 and has returned year after year as a photo-camp model and rigger. Participants and staff at at the 2017 Rock and Ice Photo Camp in Wild Iris, Wyoming. Photo by John Evans. As a producer, I went to the R and I photo camp hoping to learn more about what it’s like to be behind the camera. I realized that if I wanted to get better at putting shoots together I needed to see what it’s like to be the photographer—thinking of lighting, timing, challenging locations, different angles and athletes. I’m excited to say the photo camp surpassed all of my expectations. It made me a more creative director and producer on shoots, as I now understand the needs of the crew and cast better. To my surprise, it even helped me land some adventure sports projects as the actual photographer! Since the camp my outdoor sports photos have been featured by National Geographic and I’ve produced photo shoots for The North Face. While the photo camp was a key boost to my portfolio, it most importantly made me a better team member on shoots and connected me to some incredible people in the outdoor industry. Nina Williams at the 2016 photo camp, in Rifle, Colorado. Photo by Steve Rokks. I went to R and I photo camp hoping to develop my skills as a climbing photographer. 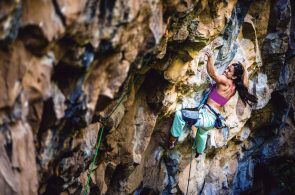 I got that and more: getting feedback from some of the best photographers in the business, shooting talented athletes on impressively difficult routes, and hanging out with friendly and awesome people for a week. 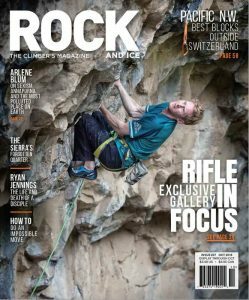 My photography skills improved immensely during the course, and at the end I was lucky enough to get a full-page shot published in Rock and Ice. Highly recommended for climbing photographers of any skill level! I signed up for the Rock and Ice Photo Camp in hopes of gaining the technical skills to photograph rock climbing, and what I got was so much more. Yes, I learned how to jug up a fixed line and capture compelling images but I also met amazing, like-minded people who I am still friends with today. Networking is a huge part of being a successful photographer. I loved my experience so much that I signed up for the Trail Runner Photo camp the following year. I was beyond excited to be attending the 2017 Rock and Ice Photo Camp. It was something I’d wanted to do for years, and I couldn’t wait to learn some new tricks. The camp turned out to be that, and so much more. Being able to learn what to look for behind the lens from some very talented individuals as well as meeting so many wonderful people and new friends in a beautiful location was an amazing experience. A must do for any climber whose rack includes a camera! I found the Rock and Ice photo/climbing camp to be a great and fun experience, with awesome athletes, highly skilled mentors and an extremely well organized support / base camp. I’d sign up again. The overall experience further developed my skill sets as an aspiring adventure photographer, and I’ve developed since tenfold. I’ve been able to cement some beneficial business relationships including with Kuhl, American Outdoors, Really Right Stuff, Canyon Coolers, Arsnel, Momentum, and Lawson Hammocks. I would thoroughly recommend the camp to any aspiring adventure (climbing) photographer. The below video is courtesy of Tobey Schmidt, a former Rock and Ice intern and 2017 Photo Camp attendee who documented the event and processes. One of Schmidt’s photos ran full-page in the ensuing feature.